Why meet all existing (and future) demand? 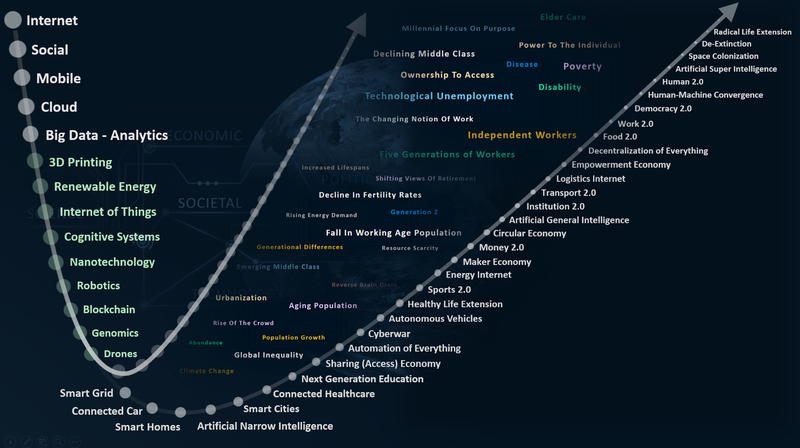 Great blog and graphic by Fran Diana that gives a summary of many of the building blocks of innovation that will impact on the scale and degree of opportunity that we are all facing. When skilled, motivated and linked to the world - regional ventures can have a hell of an impact. The RAC has invested in preparing the public (and policy makers) for coming change. Meet Amelia - She's coming for your job! Dr Ruth Morgan is the first cab off the rank in a series of interviews exploring ideas around transformative change, how it occurs, and how it is examined from a range of different perspectives. Ruth is an environmental historian with some great perspectives on how disruption and change has occurred in Western Australia, with a particular focus on the influence of water in our history. Images of drones being beautiful rather than functional are essential if they are to become ubiquitous technology. Given the recent focus on regional centre development, we test the new Microsoft PowerBI capabilities by building a dashboard to explore the characteristics of employed residents in each region of Western Australia. We finally found the time to watch the The Big Short (a cracking example of how to make complex economics and finance accessible and even entertaining). The film explores the path of a number of ‘freaks and outsiders’ who managed to see imminent disaster prior to the subprime crisis of 2008…because they looked. The recent controversy around the BIS Shrapnel report on the impact of negative gearing tax concessions has led to some interesting discussions as to the professional standards associated with economics analytics. We are proud to launch Far Lane, an enterprise, which we believe will make a lasting difference to the prosperity, productivity and happiness of communities throughout Australia.